The CRE week is a new initiative where we as a community say #ViolenceIsNEVEROk in Geraldton. Organisations and businesses have been asked to support CRE week by being involved with hosting or attending an event in our community. The week aims to promote a violence free community, raise awareness about the problem of family violence and engage everyone in saying that violence has no place in Geraldton. CRE week is comprised of a variety of information stalls and displays, a walking activity, information sessions, morning tea, community breakfast, themed playgroup and a casual wear white shirt Friday occurring across various businesses and organisations in Geraldton. 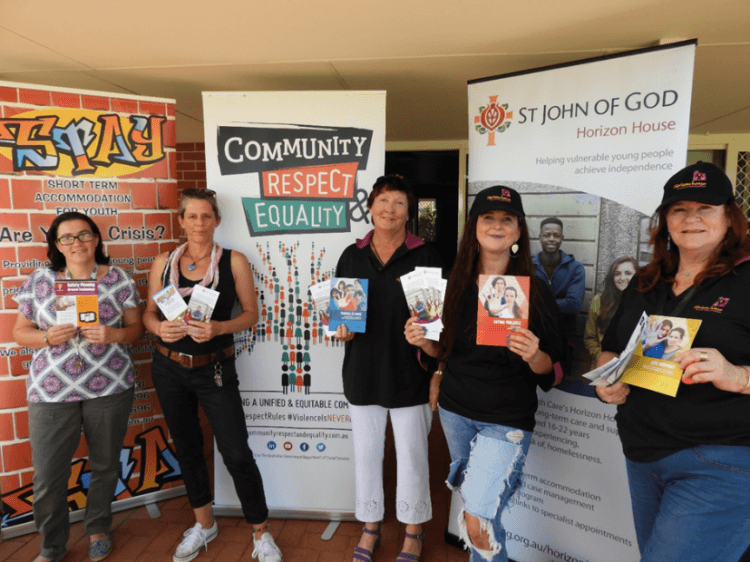 Picture: Team members from STAY and Horizon House, Geraldton, showing resources that will be on display at their family violence information stall during CRE week.